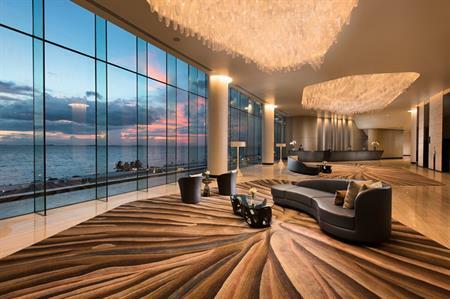 C&IT's Venue of the Week is Conrad Hotels and Resorts' newly opened Conrad Manila, the chain's first property in the Philippines. The 347-room hotel is located at the front of the Mall of Asia complex, in the Bay City development. The property boasts an infinity swimming pool, a 24-hour fitness centre, a Conrad Spa and six restaurants. Conrad Manila offers four contemporary event halls and two ballrooms, spanning more than 4,000sqm. For larger events, groups can use the adjacent Mall of Asia Arena, a 16,000-seat indoor stadium. "We are delighted to establish Conrad Hotels & Resorts in this vibrant capital of Manila, said John Vanderslice, global head of Conrad Hotels & Resorts. "The award-winning Conrad Manila, which enhances our portfolio, underscores our commitment to delivering best-in-class hotels in key gateway locations that meet the growing needs of global luxury travellers. An inspiring destination, Conrad Manila will delight guests with intuitive and customised service, as well as provide them access to a world of connections and inspired experiences."